Grendel started out in 1997 under a different name, but due to the band splitting up the name was changed into the current one. The name Grendel originates from a character in an old mythological tale entitled 'Beowulf'. In this tale a beast, namely Grendel, would lure people from the nearby villages and take them to the bottom of a marsh and drown them. In the early part of 2000 the first promo CD was released which included the Dutch dance floor hit 'Strangers'. Within a very short period of time the promo was being played at many locations throughout the Netherlands and internationally (a.o. in Germany, Belgium and Spain). Half a year later the first demo CD was releases entitled 'Inhumane Amusement'. This demo caught the ear of the German record label NoiTekk (a sub-division of Black Rain records), which convinced the label to such an extent that they signed Grendel immediately. This demo was re-mastered, re-designed and released in combination with new material in 2000 as the band's debut album. This first release set the band's name and recieved praise from throughout the scene. To follow this up, the "End of Ages EP" was released in 2002 and marked new territory for Grendel with tracks such as the international hit title-track "End of Ages", the pounding "Catastrophe" and the intrigueing "Noisome". Next to this the EP was completed with remixes done by the bands Feindflug, Arzt+Pfusch and God Module. With the unorthodox and original use of orchestration, obscure samples incorporated with harsh and pounding EBM structures this release again recieved almost only great reactions from both the media and listeners and would set Grendel's sound for the future. In 2003, Grendel recorded their second full-length release, entitled "Prescription : Medicide". This album took another step deeper into the world of [Grendel] with it's complex, yet harsh, pounding & danceable structures, dismal orchestration and distressed nature. It meant a big breakthrough for the band, recieving many great reviews, becoming album of the month in a.o. Zillo and Orkus plus reaching very high positions in underground charts world wide (including staying at number 1 for several months on the Dutch Underground Charts). And most recently Grendel recorded their latest EP, entitled "Soilbleed". This release is, yet again, another big leap ahead in their progress and blows away everything the band has produced before. The future for Grendel is very bright and the only way is up! In 2007, the band released a third album, Harsh Generation. A new EP Chemicals and Circuitry was released in November 2009. A fourth album is in progress and is expected to be released in 2010. 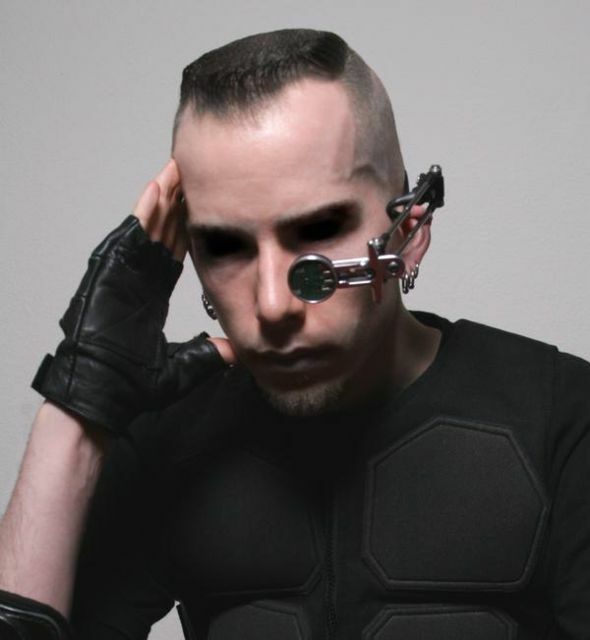 In 2009, MRK0 decided to leave the band for personal reasons. He has since been replaced by [S42H] (aka Sascha Pniok of the band Schallfaktor).